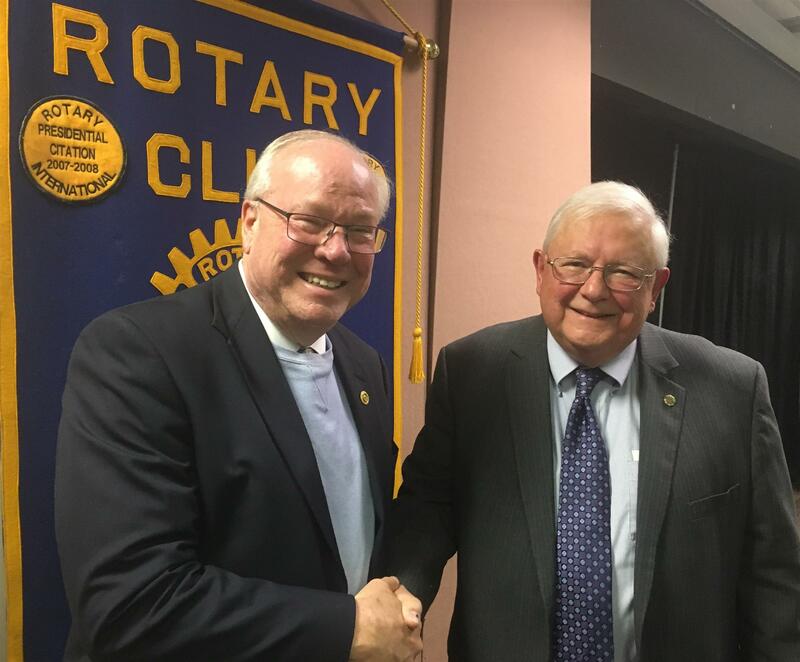 Rotarian Dalton Dunbar (l) with the Honorable Tommy E. Miller. The Honorable Tommy E. Miller told the club about the Walker Spy Ring, led by John Walker. He enlisted his brother, Arthur, and son, John, as well as another sailor, Jerry Whitworth. This spy ring operated for 20 years passing classified information to the Soviets. Soviet agents later reveal that the Walker spy ring was the best source of information they ever had.